The African baobab (Adansonia digitata L.) is one of the eight species of baobab (Adansonia) and the only one native to mainland Africa. Like other baobabs, the African baobab is a massive deciduous fruit tree, up to 20-30 m high, with a lifespan of several hundred years. Its swollen and often hollow trunk looks like a huge bottle and can be as broad as 3-7 m in diameter. It bears short, stout and tortuous branches and has a thin canopy. Baobab is strongly anchored in the soil by an extensive and strong root system that grows 2 m deep, and whose diameter may be higher than the tree height. The leaves are simple or digitally compound, dark-green on top, and borne at the end of a 16 cm-long petiole. The leaflets are between 5-15 cm long and 1.5-7 cm broad. The baobab shed its leaves during the early dry season and new leaves appear after flowering. The pentamerous flowers are white, large (20 cm in diameter and 25 cm long), and hang from stalks on pedicels up to 90 cm long. The fruit is a voluminous (35 cm long and 17 cm in diameter) ovoid capsule with a hard woody envelope containing a pulp and black seeds. Once ripe, the fruit envelope becomes brittle and the pulp takes on a chalky consistency. The tree starts producing fruits 8-10 years after planting but consistent production only occurs after 30 years (Ecocrop, 2011; FAO, 2011; Orwa et al., 2009; Bosch et al., 2004; Jansen et al., 1991). The baobab is mainly used for food. The fruits, flowers, leaves, shoots, roots of seedlings and even the tree roots are edible. The leaves can be used either fresh, as a cooked vegetable, or dried and powdered as a functional ingredient (thickener) of soups and sauces. The flowers, shoots and roots of seedlings are eaten (Bosch et al., 2004). The fruits, called monkey-bread, contain a white, mealy, acidic tasting nutritious flesh that can be eaten as a sweet, used to make refreshing drinks and ice-creams, or used to adulterate and curdle milk. The seeds yield an edible and pleasant tasting oil, and oil extraction results in an oil meal. The bark is used for fibre or as firewood. The roots, that are boiled and eaten in times of famine, contain tannins that provide a useful red dye (Orwa et al., 2009). In the Sahel, black bark and red bark baobabs are preferred for their fruits, while dark leaf types are mainly used as a leaf vegetable and grey bark types are used for fibre (Bosch et al., 2004). Burning baobab fruit pulp produces an acrid smoke used to deter insects troublesome to livestock (Orwa et al., 2009). Baobab trees provide fodder for animals: young leaves, fruits, seeds and the oil meal are consumed by livestock (Bosch et al., 2004). During drought, donkeys and game animals chew the bark and the fibrous wood for sap. Livestock and game often destroy young trees. Elephants can badly damage baobabs when they rub themselves against the trunk (FAO, 2011; Orwa et al., 2009). The origin of the baobab is still debated. 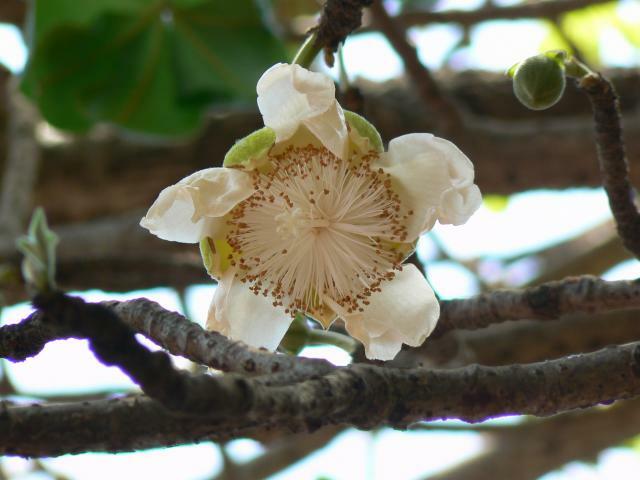 They may have originated from the savannas and savanna woodlands of Sub-Saharan Africa, or they may have occured first in Madagascar (which has six endemic Adansonia species), from where they would have spread to continental Africa and Australia (Wickens et al., 2008; Watson, 2007). The baobab was introduced in many tropical and subtropical regions: central African countries, many Asian countries (e.g. India, Sri Lanka, Indonesia and the Philippines), the Middle East and the West Indies. The African baobab is found from sea level up to 1500 m in regions with a dry season lasting about 4-10 months split into 1 or 2 periods. Baobabs often grow close to villages (Orwa et al., 2009; ICUC, 2002; Bosch et al., 2004; Ecocrop, 2011). Optimal growth conditions are average day temperatures ranging from 19°C to 35°C, annual rainfall between 300 and 500 mm, and fertile, slightly acidic, sandy topsoil overlaying loamy subsoil. 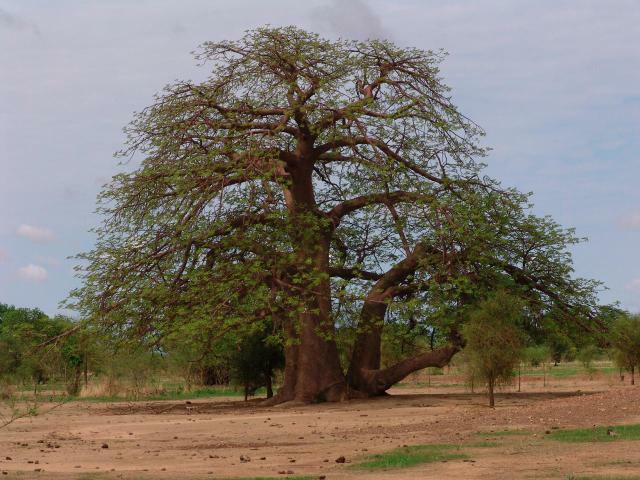 However, the African baobab may withstand much lower and more irregular rainfall conditions (90-1500 mm) and grow on poorly drained soils with a heavy texture, though not on deep sands probably due to the lack of anchorage (Orwa et al., 2009; Bosch et al., 2004). It cannot withstand seasonal flooding, waterlogging or severe frost, which may kill even mature trees (Ecocrop, 2011; Bosch et al., 2004). When the baobab sheds its leaves during the dry season, this enriches the soil by enhancing soil moisture and organic matter content. Decaying wood of baobab that has died of old age may be used as fertilizer. The ashes from shells, bark and seeds are rich in K and also useful fertilizers (Orwa et al., 2009). The tree can be grown for shade (Ecocrop, 2011; ICUC, 2002). The hollow trunks of baobab are ideal nesting sites for birds such as rollers, hornbills, parrots and kestrels while their branches welcome eagles, vultures and storks nests (ICUC, 2002). Baobabs play a vital role in water storage in the drier areas: the hollowed trunk may be carved out in 3-4 days and may contain and hold up to 7 m3 water. The water can remain several years within the trunk if it is kept sealed (Orwa et al., 2009). The baobab is a pioneer species: it can withstand extreme drought and it is suitable on degraded lands where other species cannot survive (ICUC, 2002). Its thick and fibrous bark is remarkably fire resistant, and the tree continues to live and regrows even if its interior is completely burnt out. 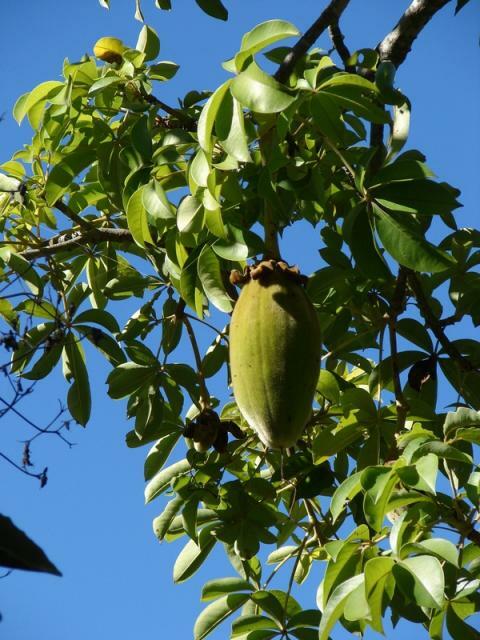 Le baobab africain (Adansonia digitata L.) est essentiellement répandu dans les régions sèches d'Afrique subsaharienne. D'autres espèces sont également rencontrées à Madagascar et en Australie. Les parties de la plante pouvant être utilisées en alimentation animale sont les feuilles, les graines et parfois le tourteau obtenu après l'extraction d'huile. Les graines de baobab contiennent en moyenne 12% de matières grasses et 15% de protéines, ainsi qu'une quantité importante de fibres. Le décorticage des graines diminue la quantité de fibres. Le tourteau de baobab contient environ 18% de protéines; sa teneur en fibre dépend du décorticage éventuel des graines. Les graines contiennent plusieurs facteurs antinutritionnels: tanins, saponines, facteurs antitrypsiques, oxalates... Les feuilles contiennent en moyenne 11% de protéines et une importante quantité de fibres. Elles sont riches en tanins. Chez les ruminants (bovins, ovins, caprins...), les feuilles de baobab peuvent être consommées comme supplément alimentaire en saison sèche, mais la présence de tanins conduit à en limiter le taux d'incorporation. L'utilisation du tourteau de baobab chez les vaches laitières semble diminuer la production de lait. Chez les volailles, les feuilles de baobab ont une faible valeur nutritive à cause des tanins. Les feuilles peuvent toutefois constituer une source de pigments pour les poules pondeuses. Le tourteau de baobab peut être utilisé chez le poulet et la pintade. El baobab africano (Adansonia digitata L.) se encuentra sobre todo en las regiones secas de África en el sur del Sahara. Otras especies se encuentran también en Madagascar y Australia. Las partes de la planta que pueden utilizarse en la alimentación animal son las hojas, semillas y a veces la torta obtenida después de la extracción del aceite. Las semillas de baobab contienen una media de 12% de materia grasa y 15% de proteína, y una cantidad significativa de fibra. El descascarillado reduce la cantidad de fibra. La torta de baobab contiene alrededor de 18% de proteína, el nivel depende del decascarillado de las semillas. Las semillas contienen varios factores antinutricionales: taninos, saponinas, factores antitrípsicos, oxalatos ...). Las hojas de baobab contienen una media de 11% de proteína y una alta cantidad de fibra. La hojas son ricas en taninos. En rumiantes (bovinos, ovinos, caprinos ...), las hojas de baobab pueden ser comidas como suplemento alimenticio durante la estación seca, pero la presencia de taninos conduce a limitar la tasa de incorporación. El uso de la torta de baobab en vacas lecheras parece disminuir la producción de leche. En aves, las hojas de baobab tienen poco valor nutritivo debido a los taninos. Las hojas, sin embargo, pueden ser una fuente de pigmentos para las gallinas ponedoras. La torta de baobab puede ser utilizada en pollos de engorde y gallina de Guinea. Whole baobab seeds contain about 13-18% protein (DM basis), up to 26% crude fibre and 10-13% oil (Anjos, 2005; Feedipedia, 2013; Osman, 2004). 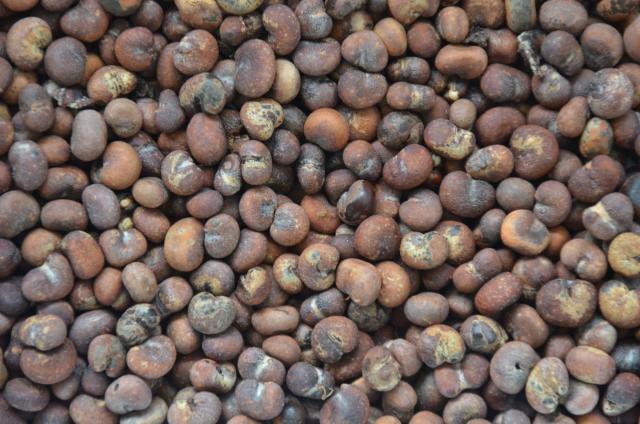 Dehulled seeds are richer in protein (26-38% DM), poorer in fibre (17% DM) and richer in oil (23-24% DM) (Igboeli et al., 1997; Belewu et al., 2008). Variations in seed composition can be attributed to soil, climate and variety (Osman, 2004). The seed protein contains about 5% lysine, 1% methionine and 1.5% cystine (Osman, 2004). Seeds contain notable amounts of antinutritional factors (see Potential constraints below). 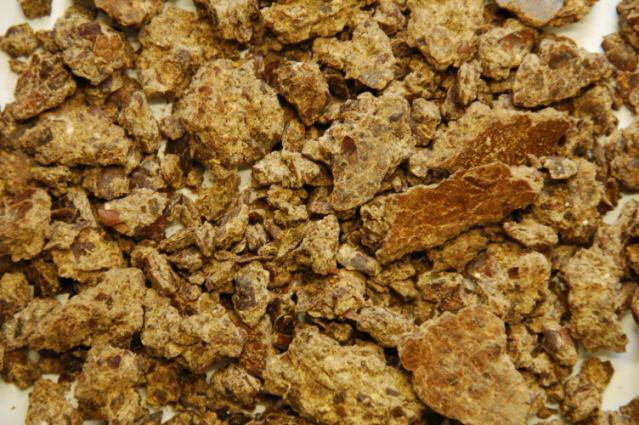 The nutritive value of baobab oil meal depends on the process. The dry matter contains 17-36% crude protein, 15-25% crude fibre and 5-14% residual oil (Madzimure et al., 2011; Feedipedia, 2013). The oil meal may contain antinutritional factors. Baobab leaves contain about 11% DM with a crude protein content of 5-17% (Feedipedia, 2013; Belewu et al., 2007). Fibre variation is large, ranging from 10 to 19% DM (NDF 21-49% DM, ADF 16-41% DM and lignin 6-20 % DM) (Feedipedia, 2013). The leaves are rich in calcium (1-4% DM; Feedipedia, 2013) but it is questionable to what extent it is available to monogastric animals as they also contain gums which may impede absorption (Göhl, 1982). Leaves are particularly rich in tannins (see Potential constraints below). Baobab seeds contain high concentrations of oxalates (10%), phytate (2%) and saponins (3-7%) (Nkafamiya et al., 2007; Belewu et al., 2008). Trypsin inhibitors have also been found (5.7 TIU/mg; Osman, 2004) but can be reduced by 85% by alkali treatment (Bosch et al., 2004). Whole seeds contain amylase inhibitors and tannins (Igboeli et al., 1997; Osman, 2004). No tannins or condensed tannins where found in the dehulled seed (Belewu et al., 2008). Roasting, hot water, hot alkali, and acid treatments significantly reduced the tannin content while roasting, dehulling, cold water, and hot alkali treatments also reduced amylase inhibitor activity (Igboeli et al., 1997). It is probable that some of these antinutritional factors are also found in the oil meal. Baobab leaves contain large amounts of tannins. Reported tannin content (as tannic acid) is in the 2-12% range (AFZ, 2011; Fall Touré et al., 1998; Bosch et al., 2004). Condensed tannins (as catechin) are in the 0.03-0.1% range (AFZ, 2011). In vitro DM and OM digestibilities of baobab browse were 54-58% and 44-50% respectively while in sacco DM and N degradability were 65 and 71% respectively. This latter value makes baobab browse potentially useful as a source of protein supplementation during the dry season (Fall Touré, 1991). Browsing baobab had a notable effect on total diet in vivo digestibility, and optimal DM digestibility was obtained with low levels of browse (30% or less) in the diet. This may result from the high tannin content, or may be due to the presence of an emollient which could cause transit acceleration in the ruminant digestive tract, as observed in human food containing baobab leaves commonly consumed in West Africa (Fall Touré et al., 1998). In young goats, a mixed diet containing 40% of baobab leaf meal maintained normal blood indices and kept all animals in a healthy condition. Dry matter intake was higher with baobab leaf meal than with leaf meals of Blighia sapida, Entada africana and Gliricidia sepium (Belewu et al., 2007). 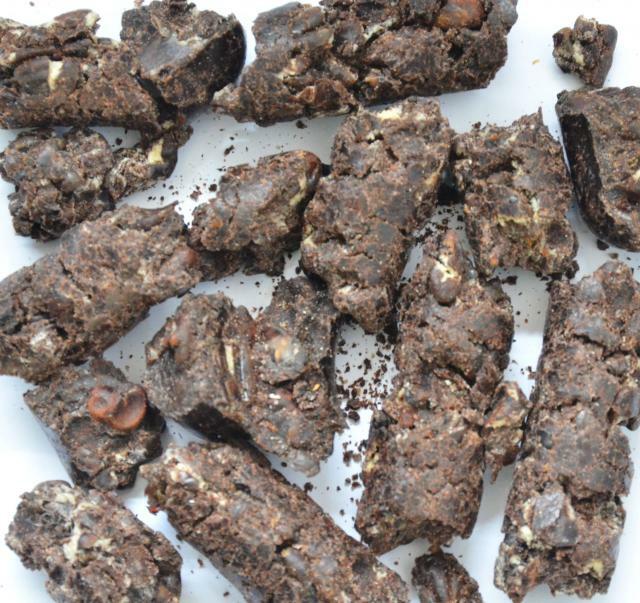 Baobab bark was found to be poorly degradable and it was concluded that its use would require processing and/or nutrient supplementation with low-fibre feeds (Aina et al., 2004). In dairy cows, baobab oil meal partially replacing soybean meal and included at 5 to 15% in the diet decreased milk yield and butterfat content but increased milk protein and total solids contents. Overall, baobab oil meal has potential in dairy rations for replacing conventional and expensive protein sources, provided its content of antinutritional factors is reduced to safe levels through processing (Madzimure et al., 2011). In sheep, baobab oil meal could be incorporated at up to 12.5% in the diet, reducing the amount of soybean meal, even though it reduced DM and protein digestibility. Total substitution depressed daily weight gain (Belewu et al., 2009). It has been reported that seeds from which the lignified skin has been removed are mixed with the pulp and often fed to goats and sheep (Göhl, 1982). The high tannin content of baobab leaves prevents them from being used as a major ingredient in poultry diets. However, baobab leaf meal has been used with success as a source of pigments in diets for laying hens. The yolk color increased with an inclusion rate of 1-2% baobab leaf meal, with no adverse effect of feed intake, egg production and egg quality (Butswat et al., 1997). Baobab oil meal has been tested in young guinea fowls. Feed intake and growth were not affected by baobab oil meal at a 5% inclusion rate, but they decreased at 10% and 15%, with an average body weight reduction of 9% at 6 weeks of age (Mwale et al., 2008). Scavenging chickens fed a diet containing 25% raw baobab seeds and 75% maize grain had a 60% lower body weight gain and a higher mortality than the group fed with a commercial diet. It was concluded that antinutritional factors were probably the cause for these poor results and that heat treatment of the seeds is probably required (Anjos, 2005). The baobab tree is a source of fine quality honey. Wild bees manage to perforate the soft wood and lodge their honey in the holes. In many parts of Africa, the hollow trunks are used for beekeeping (Orwa et al., 2009). ICUC, 2002. Baobab. International Centre for Underutilised Crops, Factsheet No. 4, Southampton, UK. Jansen, P. C. M. ; Jukema, J. ; Oyen, L. P. A. ; van Lingen, T. G., 1991. Adansonia digitata L.. Record from Proseabase. Verheij, E.W.M. and Coronel, R.E. (Editors). PROSEA (Plant Resources of South-East Asia) Foundation, Bogor, Indonesia. Wickens, G. E. ; Lowe, P., 2008. The baobabs: pachycauls of Africa, Madagascar and Australia. Springer Science + Business Media, B. V.